Chelsea returned to Reserve team action on Monday night and put in one of the most outstanding performances at this level in recent memory. Goals from Alex, Daniel Sturridge and a brace from Fabio Borini swept West Ham aside in a 4-1 victory, with the consolation being scored by former Chelsea scholar Frank Nouble. Steve Holland’s team included two full internationals, with a further four Under-21s and everyone, including all five subs, having some form of youth international representation. Ross Turnbull and Paulo Ferreira played from the start, with their non-involvement in the Champions League, whilst Alex made his first Blues appearance of the season as he returns from a troublesome hip injury. He was partnered by Jeffrey Bruma, donning the captain’s armband for the first time, whilst Nemanja Matic and Josh McEachran both featured in midfield. Daniel Sturridge partnered Borini in attack, and with just over a week until the Carling Cup tie with Bolton, there was the opportunity to impress. Impress they duly did. Lively from the off, it took a mere two minutes to take the lead. Quick feet on the edge of the area from Sturridge drew a free kick, and after four or five players had their look, Alex took charge through seniority. He didn’t quite catch it as he usually does, but the West Ham wall jumped and his effort clipped underneath it and past Peter Kurucz into the back of the net. It was almost two seconds later as Ferreira shocked the healthy attendance by sending a rasping effort towards goal from long range which was well tipped over. Low efforts from Jacopo Sala and the visitors’ Junior Stanislas were easily saved in what was a hectic opening spell. 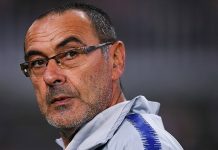 Chelsea had set about forcing mistakes from the Hammers, and under constant vocal encouragement from Holland, they stuck to their task diligently and enthusiastically, producing results. Sturridge took advantage of a poor backpass by Ferrari but put his shot over, which was to set about a first half theme. Time and again Chelsea had sight of goal, but the efforts flew comfortably over the crossbar. Sala, Sturridge and McEachran were all guilty, with Conor Clifford testing the Hungarian stopper in goal with a good low effort. At the other end, captain Bruma was dealing easily with the big frame of Nouble, but Stanislas kept Turnbull on his toes with a well-hit effort from long range. McEachran, who is still very much 16 and not 17 for some months yet, was having a quietly effective game, showing his poise, touch and vision, and carved out a beautiful chance for Sturridge, but once he got it out of his feet it was only ever destined to join the avalanche of shots already making their way into the empty Ealing Road Terrace. At the other end Nouble found some space for the first time and drove into the area, cutting a pass back which was half-cleared, but came to nothing as Luis Jimenez headed tamely wide. The solitary goal from Alex was to be the half’s only one, and the Brazilian was off for the night, completing 45 minutes as planned, to be replaced by Carl Magnay for the second period. It was a half which started in equally lively fashion as the first. Borini showed great acceleration to fly down the right wing and deliver a delicious cross which evaded Sturridge by inches, and when Sala turned the ball back into the area from the other side, Borini smashed his shot straight at Kurucz. The Blues were still relentless in their closing down, whilst in possession they kept a fluid and quick tempo throughout, moving the ball around and particularly looking for the forward pass. The midfield four were integral to this, whilst both strikers and both full-backs supported in exceptional fashion. A good-looking effort from Clifford was deflected to safety, whilst at the other end Stanislas continued to be West Ham’s most likely goal threat, sending a bouncing free kick towards the far post which was well saved by Turnbull, keen to atone for two poor Reserve outings to date. He wasn’t much of a threat though, whereas the hosts most certainly were. McEachran had his first reserve goal within his grasp were it not for a last-gasp interception from Ferrari, whilst Sala skipped past a challenge and crashed a shot which came back off the crossbar as the Blues looked to put the game to bed. The second goal did finally arrive with twenty minutes remaining, and it came in slightly controversial fashion. Ferrari went down injured carrying the ball out of the back in what appeared to be a clear foul, but nothing was given, nor was it appealed. Sturridge went clear, saw his shot saved, but the rebound fell to Ferreira, who bundled it back towards Sturridge, and he turned and prodded the ball into an unguarded net, with Kurucz having been deceived by the initially blocked shot. 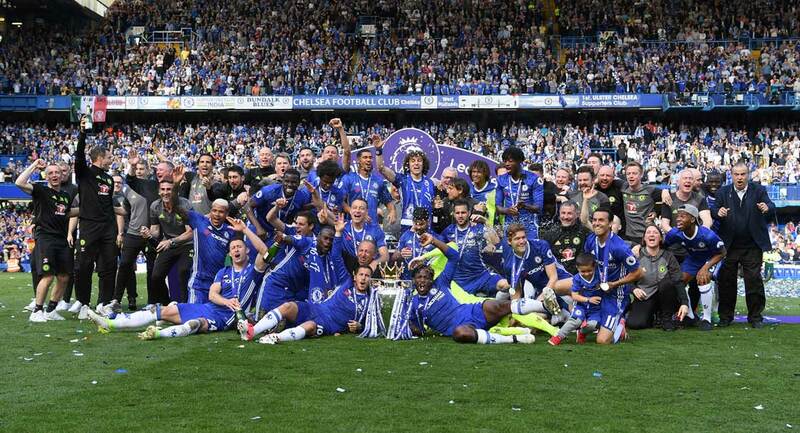 With the game in the bag, Chelsea could relax and turn on the style. And how they did. A little over five minutes later came 3-0 and one of the finest goals any Chelsea team will score this season. A West Ham free kick was cleared on the edge of the area and Sala broke with Sturridge. He flicked it over his man into space, took it back from the second goalscorer and gave it again. Sturridge slid the ball down the right wing for the Italian, and his glorious cross skipped across the goalmouth where Borini was on hand to slam it into the back of the net without breaking stride. The move could have taken no longer than ten seconds end to end, and it was a sheer delight to watch. Borini wasn’t done, however. Clifford broke up play in the middle and was looking for a shorter pass but had nothing immediately on, so bent a ball in behind Josh Payne where Borini could pick it up. His first touch was majestic, simply knocking it into his path before prodding it past Kurucz at the near post for a quite sumptuous finish. He was immediately given a well-deserved rest, as was McEachran, with Philliskirk and Gokhan Tore entering the fray for the final minutes. The only negative on the evening was the failure to see the clean sheet through to the death, but when the goal did come it was of high calibre itself. Nouble had experienced a frustrating night against former team-mates, but showed his ability by shielding the ball, turning, and bending a lovely shot past Turnbull and into the top corner from some 25 yards. He still looked a class below some of Chelsea’s players, but at the same time produced a moment of magic anyone would have been proud of. Nonetheless, it’s a mere blot on a superb copybook from Chelsea on the night. After being out-passed and outclassed by Arsenal a fortnight ago there were lessons to be learned, and they were done so in near-impeccable fashion tonight. The effort, work-rate and tactical discipline was first rate, whilst the passing and moving and attacking tempo was there for all to see. West Ham were second best and second to everything, and Holland will have been delighted that the team are showing increasing signs of understanding what he wants from them. A very vocal coach, his constant encouragement and simple reminders about the gameplan were lapped up by an eager team. Individually, everyone had an impressive game, with Borini, McEachran, Matic and Gordon all in for praise. Ferreira was ultra-professional and looked match fit, but the performance of the night was from captain Jeffrey Bruma. He was imperious at the back, winning everything, keeping the team organised and was more vocal than possibly ever before, perhaps brought out by the armband. With Bolton in the League Cup on the horizon, it was a performance which will give him – and some of his team-mates no doubt – great hopes of featuring. A job very, very well done. You can see pictures from the game courtesy of Dan Davies by clicking on this link.